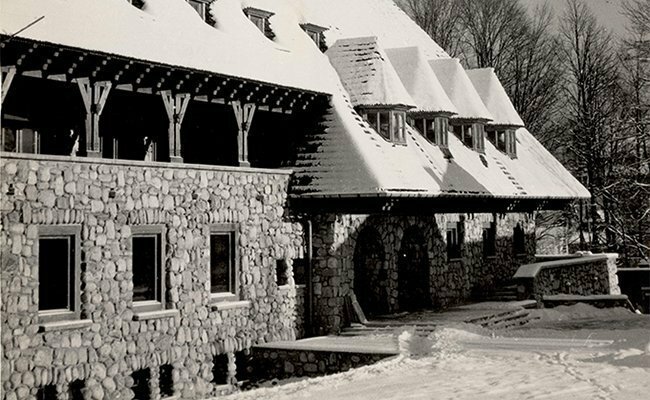 Thanks to an extensive and careful restoration in lieu of the legendary Dom Turysty, the Hotel offers an experience matching that of famous Alpine hotels, combining authentic architecture and an enchanting history with a contemporary and elegant style. 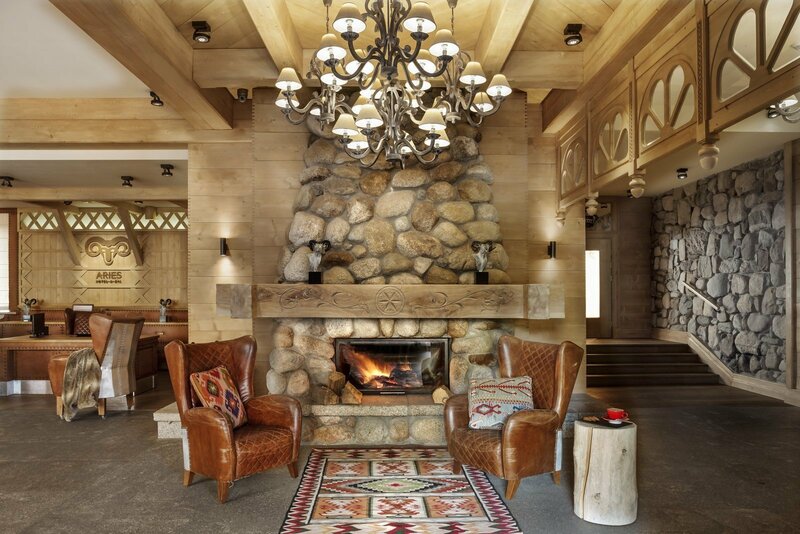 A stylish fireplace, kilim carpets and numerous of charming furnishing details make this modern hotel cozy and friendly. 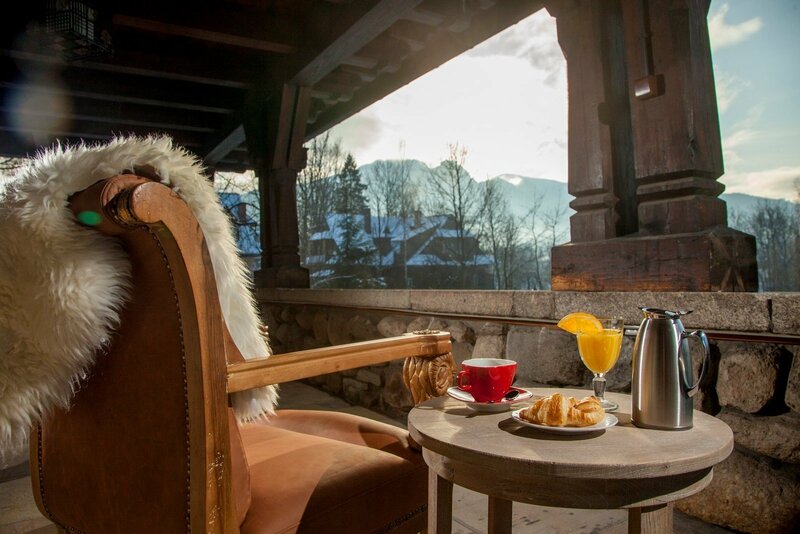 The original old mountain carriage hanging in the entrance, completes the charm of this unique place. 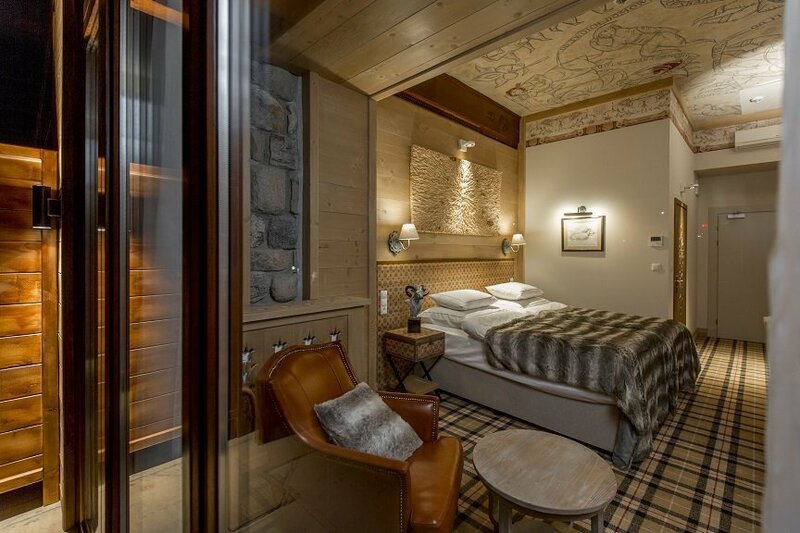 All of our rooms have been designed to provide a cosy and functional experience. 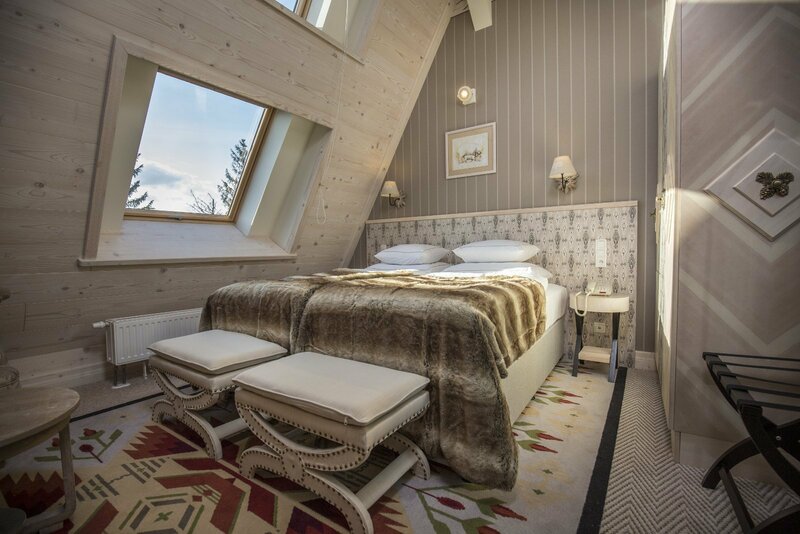 The hand-painted ceilings, mosaic wallpapers and charming views of Zakopane make for a truly unique Hotel. As an added benefit, all our beds feature HYPNOS mattresses – by appointment to Her Majesty Queen Elisabeth II. We will do our best to make your stay in Aries Hotel & SPA unforgettable. 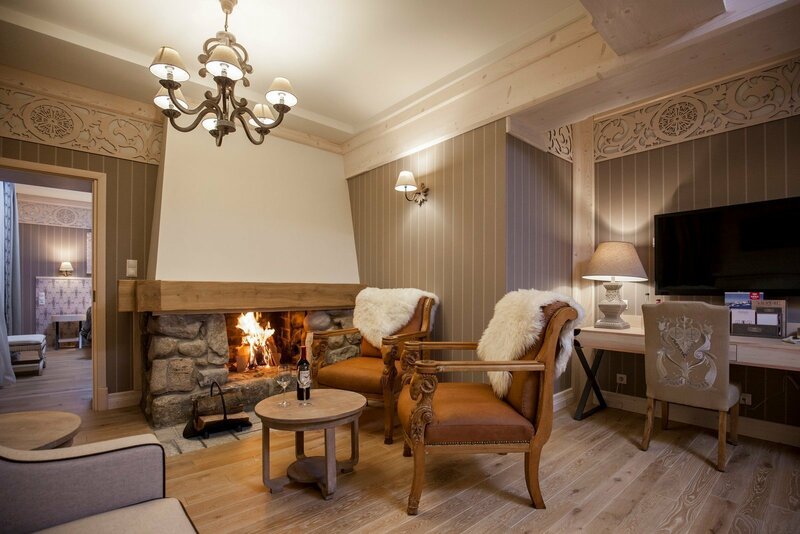 For families with children, we offer two-bedroom Chalet Suites and Executive Rooms with sofa beds. For the youngest guests we also prepare baby cots. Unfortunately, the hotel does not offer stays with pets. 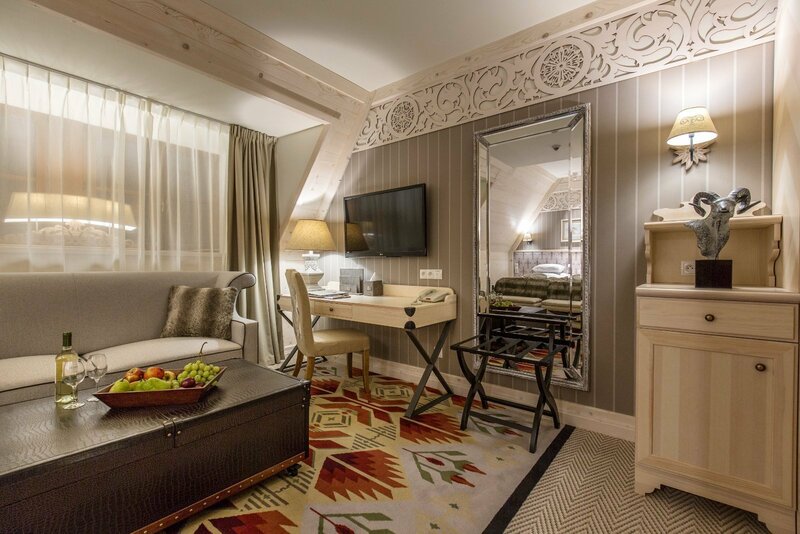 We will do our best to make the stay in Aries Hotel truly exceptional. 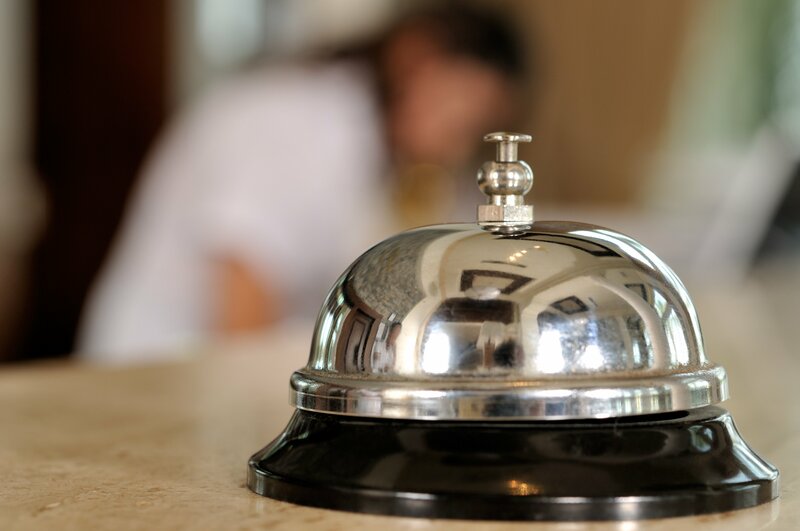 Everything what we do, starting from room service, wide wellness offer up to and including sport concierge is to make your stay the most comfortable ever. 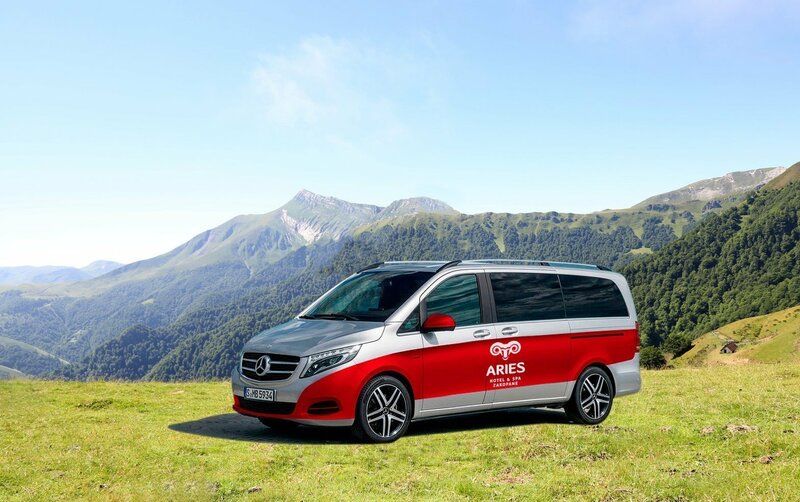 For special request of our Guests we can arrange transfer from / to Kraków Balice (KRA) and Katowice Pyrzowice (KAT) airports, nearby Nowy Targ city as well as to the most attractive places in the area of Zakopane. 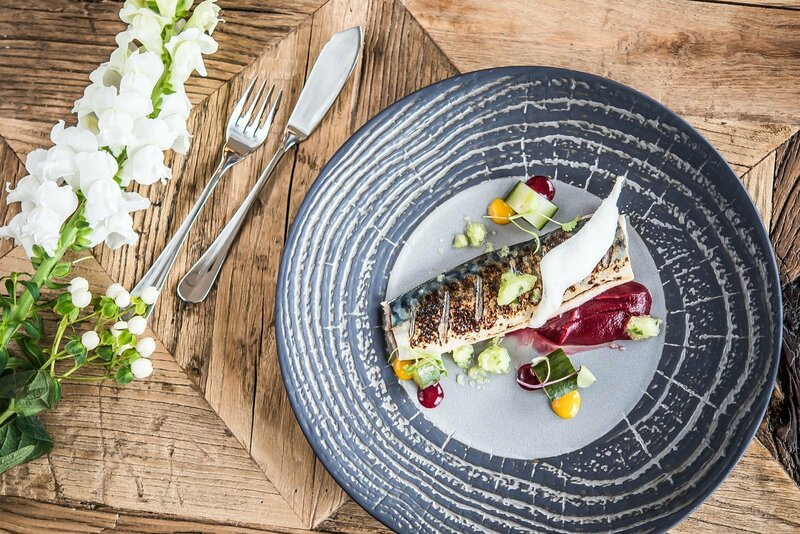 Halka Restaurant offers modern and fancy menu with original dishes based on local and seasonal products as well as trendy top quality beef dishes. 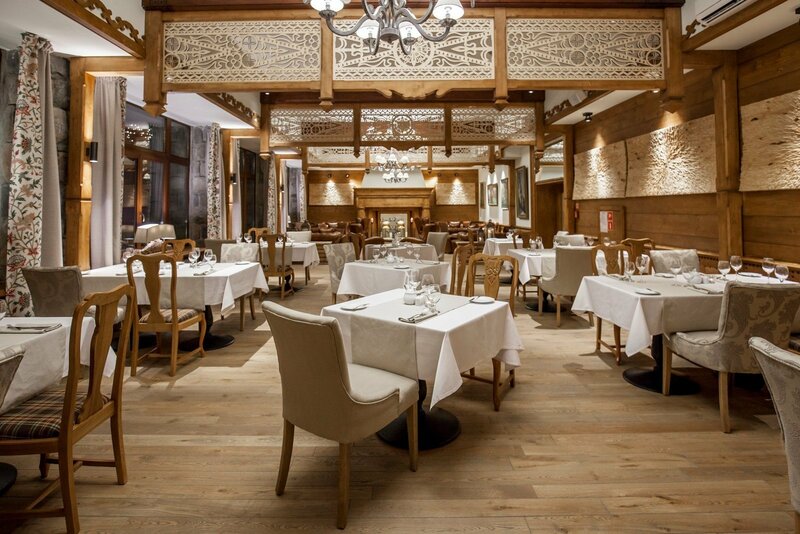 The interior of the restaurant is distinguished by wooden details of stylish decoration, such as carved parzenice. 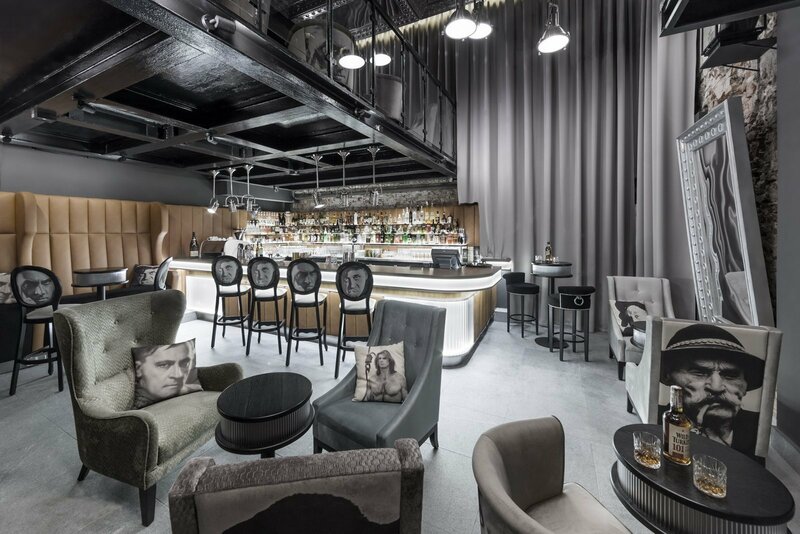 Le Scandale Aperitif Bar invites you to the daily press with a cup of good coffee and delicious pastries. 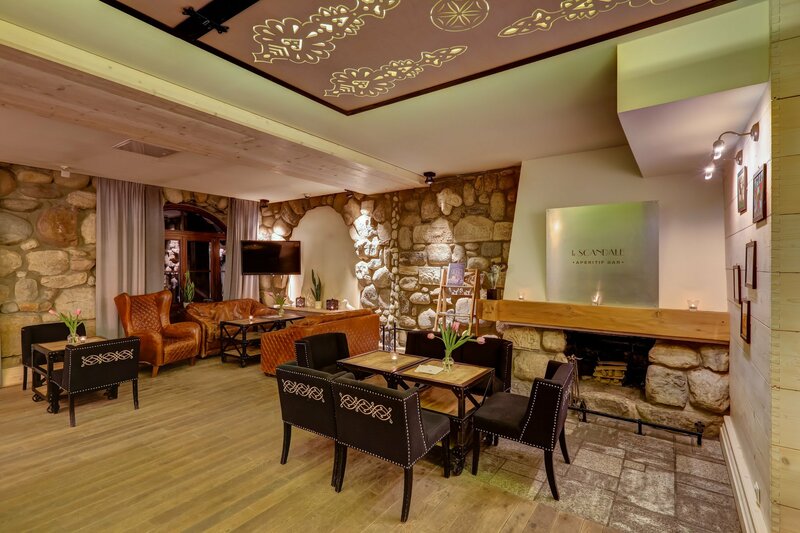 At Le Scandale Cocktail Room & Music Loft you can perfectly finish your day with the best cocktail in Podhale, and relax at a club party during the weekends. Dom Turysty (“The Tourist’s House”) was built in the 1950s. 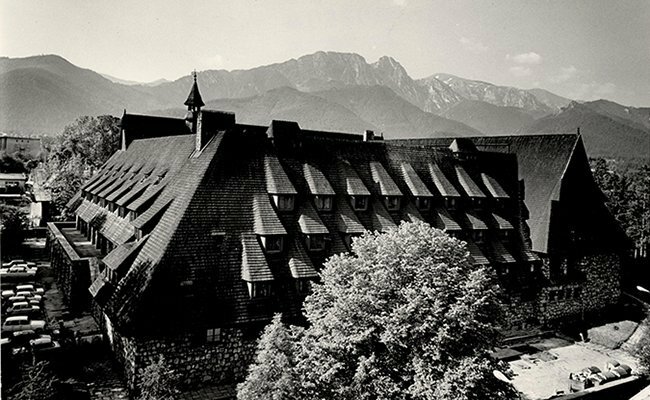 The project’s authors, brilliant Polish architects Tadeusz Brzoza and Zbigniew Kupiec, decided to explore local traditions tied to the Zakopane Style. 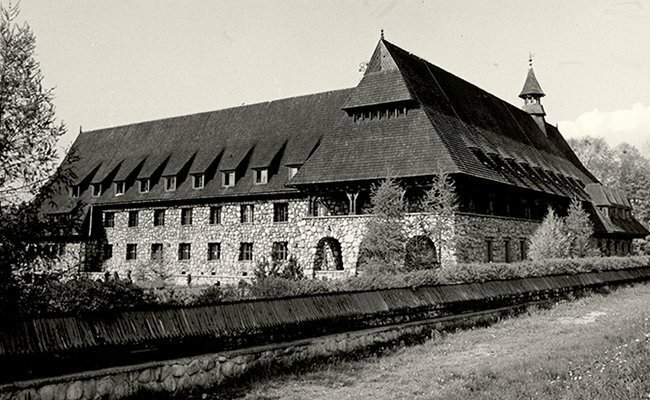 Thus, Dom Turysty became not only exceptional for its scale, but also the stylish stone masonry, wooden window decorations and a steep roof.